Ya había visto este libro pero por razones de tiempo lo posteo ahora. 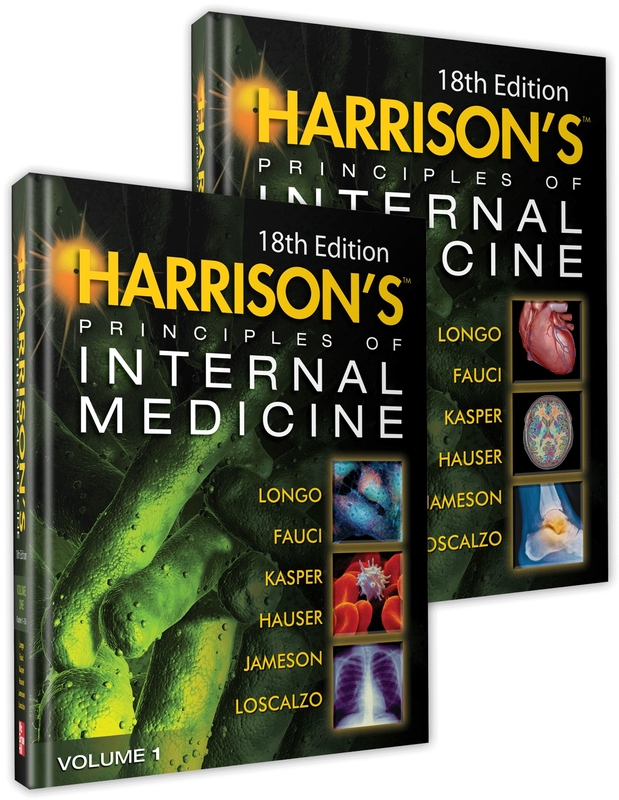 Extensively revised and expanded by the world’s leading physicians, Harrison’s Principles of Internal Medicine, 18e continues to set the standard as the pinnacle of current medical knowledge and practice, offering the definitive review of disease mechanisms and management. Harrison's covers more global aspects of medicine than any other textbook, and features such chapters as "Global Issues in Medicine," by Jim Yong Kim, Paul Farmer, and Joseph Rhatigan, and new to the 18th edition, "Primary Care in Low and Middle Income Countries." No other resource delivers coverage of disease mechanisms and management like Harrison's, including world-renowned chapters on HIV/AIDS, STEMI and non-STEMI myorcardial infarction, cancer biology, multiple sclerosis, and diabetes. rar এ কী পাসওয়ার্ড আছে?